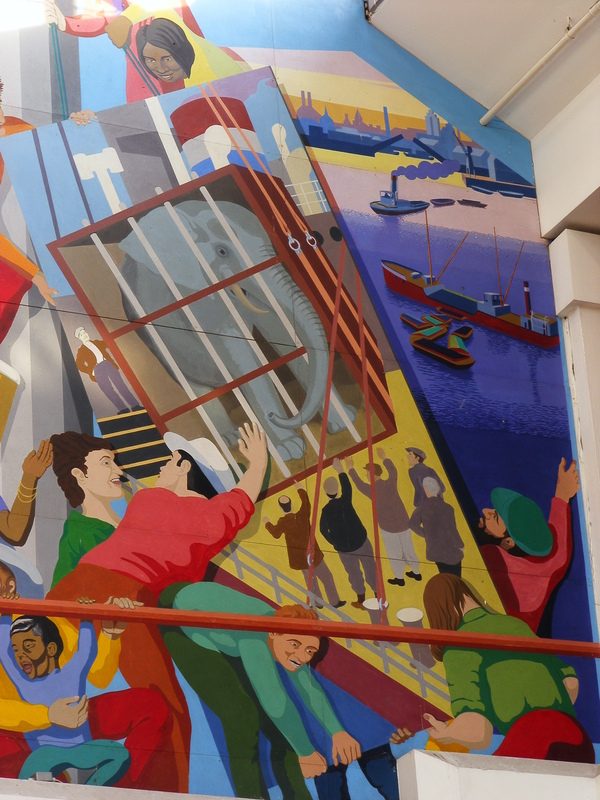 It’s that time again an this month we are heading to south-east London to see a couple of interior murals by one of our favourites – the Greenwich Mural Workshop. 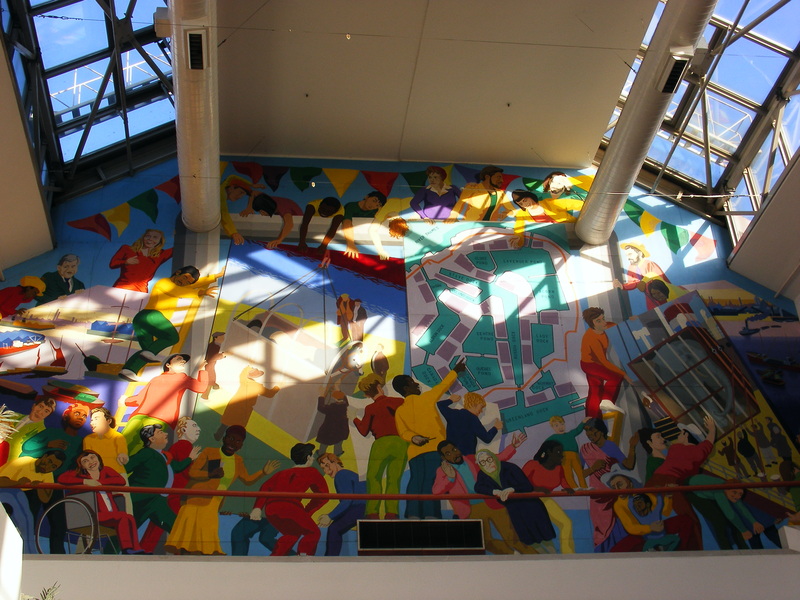 There are two murals located in the Surrey Quays Shopping Centre. 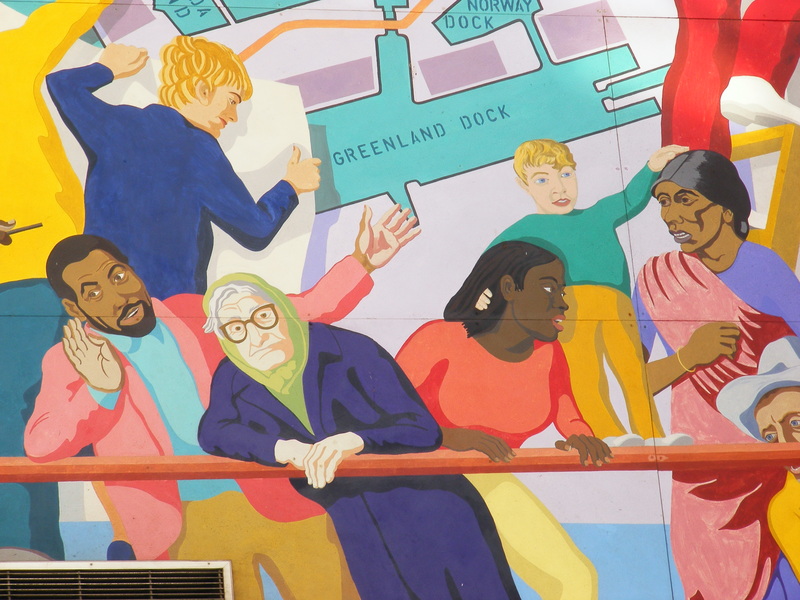 If you enter through the busy thoroughfare near the Tescos, then you will see this mural. 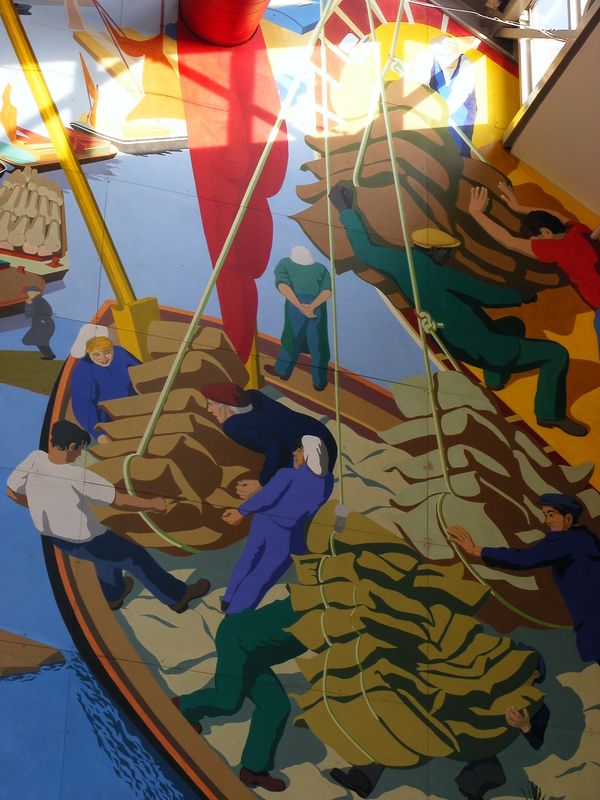 It is a scene of people working together ( a favourite theme of the Greenwich Mural workshop) to put up a mural – which shows the working of Surrey Docks. This is local history equals community visualised! All together now, get that elephant moving! Everyone is involved , young, old, black, white, man , woman. This is the workers of Surrey Quays when it was the Surrey Commercial Docks. Again, a fantastic composition of the workers! 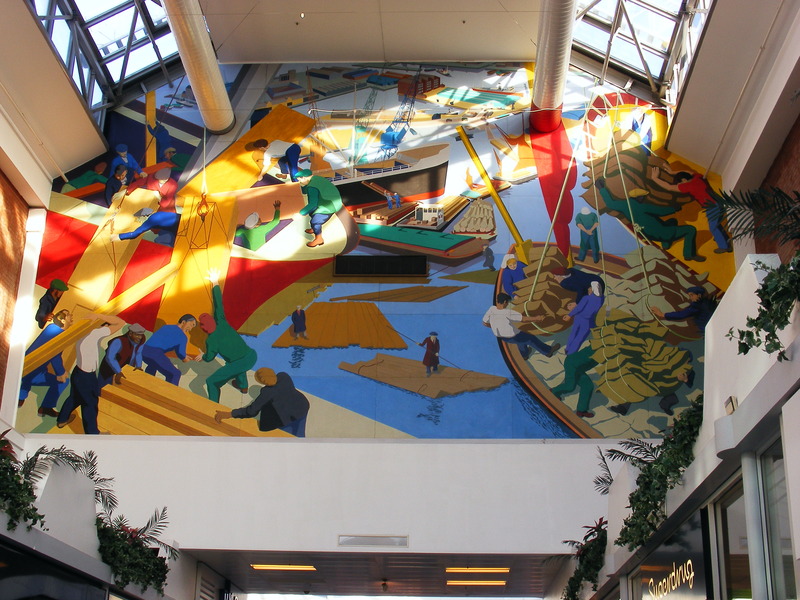 So make a date to do your shopping at the Surrey Quays shopping centre just to check out the murals! This entry was posted in London Mural Preservation Society, Mural of the Month and tagged Greenwich Mural Workshop, London, Mural. Bookmark the permalink.